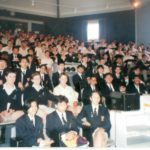 This guest post has been kindly contributed by my dearest friend, Miss Rohini Singh, who is one of the best debaters and coaches I know. Sport –Are its ideals dead? In a world where the interaction between so many influencing forces has increased at an alarming rate, it has become difficult to find any one entity which remains pristine and untouched. This is especially true in the sports arena where it often seems that the original ideals of sport have been sacrificed at the altar of commercialism, politicisation and professionalism . Some people feel that these new gods are benign ones that elevate the principles of sport, others feel that sport is better off without them. This pamphlet aims to examine whether sport as we know it today is a travesty of its original goals or whether it truly is what the founder of the modern Olympic games hoped it would be: “A festival of human unity, celebrating the triumph of human endeavour”. 1. Both of these motions have essentially similar central issues. The question they both ask is whether the entry of professionals into sports has made it better or worse. This debate will therefore examine the consequences of professionalism in itself, as well as compare the state of sports with professionals vs with amateurs. 2. In this motion, some of the issues covered will be similar to the ones mentioned above. However, this particular motion allows a broader range of topics, such as the part played by the politicisation of sports today. This is because the word “warfare” implies some discussion of the interaction between nations, since these are the entities that engage in warfare. 3. In this debate, the pivotal phrase is “go together”. Debaters will have to decide for themselves precisely what it means for money and sports to go together. As long a credible link is established, anything goes, from professionalism, to sponsorship, to commercialisation. The important thing to remember is to establish a reasonable grudge against money in sport. For example, it is not enough to say simply that professional sportsmen are paid a lot—teams need to draw a link between that money and some sort of demise of sport and its ideals. 4. This debate is slightly different from others because it requires not only an examination of the conduct of sportsmen in the past but also calls for an emphasis on the future of sports, especially in light of the influence that sportsmen have on the youth of today, the very youth who will, hopefully, keep sports and its ideals alive. Therefore, this is a debate that looks both into the past as well as what lies ahead. 5. This debate actually spans much more than simply the nature of how sports is conducted in today’s world. It is also what is called a “China Debate”, meaning that one of the main issues to be debated is the nature of the country China, and how the hosting of the Games in China will affect China as well as the Games. Here, the issues of money and professionalism will not come to the fore as much as the issues of the politicisation of the Games. In any debate dealing with sports, teams will almost always need to use the Olympic Games as a basis for the arguments and examples. The original Olympic Games began centuries ago in Greece as an alternative to war—participants were to compete for glory (the reward of winning being simply fame and a laurel wreath) rather than territory. It died down, and was resurrected in 1896 by Baron Pierre de Coubertan, who aimed to provide “ a chance for the greatest male and female athletes of (the) time to come together to compete in an international arena, and take part in a festival of human unity, celebrating the triumph of human endeavour”. It is Coubertan’s vision of “Citius, Altius, Fortius” ,or, “Faster, Higher, Stronger” that has come to represent the aim of all athletes who compete in the Games. Up until 1986, only amateur athletes were allowed to compete in the Games. However, due to the fact that the athletes from the Soviet Union were actually full time paid athletes with no other occupations(ie, professionals), the Olympic charter was amended to allow participation by professionals. This was mainly done in a bid to appease still raging Cold War tensions which some say had led the Soviet Union to boycott the 1984 Los Angeles Games, just 2 years earlier. While the Olympic Games are one of the most important events in international sports, there are many other sports meets that should not be ignored in a discussion about sports. These could include the Commonwealth Games, the Goodwill Games (be careful with this one, as the Goodwill Games have been discontinued), the South East Asian Games, the World Cup and many others. Alright. Here is where we get into the actual meat of the debate. I do not believe that debates on a particular genre ie., sports, have fixed lines of argument that can be applied to all motions, with a little tweaking here and there. While some lines may be similar, it is not a good idea to blindly adopt a one-line-fits-all approach! This is primarily because in doing so, teams run several risks. The first is that teams then apply the same lines of argument to all debates on a specific subject, meaning that subtle differences in each motion within that topic are tend to be ignored. While this might not ordinarily mean debate Armageddon for you, it does mean that in higher level debates, you will find yourself at a disadvantage. This is because, in these situations, it will be your team’s ability(or inability) to appreciate and bring out the finer points of the motion that will mean the difference between a good debate and a poor one. Secondly, a team that does not make the effort to work for each motion, and that relies on old, hashed out automatic-response lines of argument, does not allow itself to grow intellectually, and will therefore defeat the purpose of being a debater in the first place. Let’s first look at a “we hate/love professionalism in sports” debate, since these seem to be the rage these days. Motions 1,3 and , in most cases, 4, are these sort of debates. In order to have a good debate on this issue, teams should have a clear idea of what professionalism is. A good Proposition would not only succinctly explain what professionalism as an esoteric concept is, but also how it operates in our world. Personally, as a first speaker, I also like to first explain the root word of the term with which I am working. For example, the root word of professionalism is “professional”. Therefore, I find that it is easier to explain the meaning of professionalism by saying something like “A professional athlete is an athlete who is paid for the sports he takes part in, with that payment forming the main portion of his income. A professional athlete is paid for participation in sports as well as any other sponsorship contracts he/she may have signed. Professionalism therefore refers to the presence of this sort of athlete in sports”. It is then a good idea to follow this up with the kinds of sporting events that professionals take part in, how it works, briefly. When it comes to arguments, it is important to identify what is at the heart of these sort of debates—in this case, it is the money that comes with professionalism. Money can either empower or cripple, lessen inequalities or exaggerate them. It is with this in mind that teams should approach either a defence of, or attack upon professionalism in sports. Let us assume for the purposes of this discussion that the Prop is for professionalism and the Opp is against it. Remember, it is not enough to say that professionalism involves money and money in sports is bad and somehow it is magically the cause of the entire downfall of sports as we know it. I was once in a debate where the side that was against professionalism simply repeated ad nauseum that “professionalism entails a lot of money and a lot of money is bad”, with statistics of the annual “outrageously high” incomes of professional athletes thrown in, supposedly with the intention of shocking the other side into silenceHowever, as you can see,, this does not prove anything. Doctors are paid a lot of money, is that also a bad thing? Of course not! Therefore, it is easy to see that one can refute this argument by saying that professional athletes have only a few years to compete, come under a lot of strain and have to keep their lucrative sponsorship contracts, without which they would not earn much. In order to avoid being rebutted out of the debate like this good teams would link the prevalence of money to concrete benefit or harm to the ideals of sport, which should have been laid out by the first speaker. An Opp could say that the exorbitant amounts of money involved in being a professional athlete drive competitors to do anything that will help them win, from taking drugs to sabotaging their rival’s chances. This detracts from the noble stated aims of sports, and is therefore harmful. It might be useful to find statistics comparing the rates of cheating and sabotage prior to the advent of professionalism in sports to the rates after professionalism. (Remember though, that this is not vital and that numbers are there to back up an argument, not to create or prove one.) What is being stressed here is not professionalism in itself, but its relation to sports. A smart Prop will realise that all Opps(or vice versa) are sneaky and always try to couch whatever they are proposing in ways that benefit them (learn this tool, use it). Turn this around when coming up wit your own arguments— what one side calls “drive to win at all costs” can easily be called the “raising of the bar of competition” by the other. In this way, you have hit the arguments of the other side square on. Try also to draw out each idea within the motion as far as possible, to give you something more to go on, when crafting arguments. For example, when looking at the word “professionalism”, consider several questions. Was professionalism always a dominant actor on the international sporting arena? What about amateurism? Do amateurs have a future, with professionalism around? This will help you come up with some more angles to your own case, or, at least, some probing questions that you can pose to the other side. Other debates on sports bring in factors such as the effect of politicisation on sports, which refers to sporting events becoming platforms for political as well as sporting interaction between countries. Once, again it is important to remember that simply arguing about whether international sports is or is not politicised does not make for a particularly intelligent or scintillating debate. This is because, in most cases, the games have been politicised, simply by very dint of the fact that their participants are nations, and any interaction between them is eventually bound to turn political. What is therefore a better idea is to argue as to whether this politicisation is beneficial or harmful—one could pit the argument of “international understanding and the bringing together of countries” against that of “friction between nations, leading to conflict and political manoveuring”. Look at what is happening here: the two phrases essentially refer to the same action of nations interacting in the sports arena, but the first phrase paints it in a positive light, while the second sees only death and destruction!